SPOILER ALERT: If you haven’t read the book or seen the movie but plan to, you might want to skip this week’s blog post. I actually posted this on Left Coast Voices but wanted to share this with elfwriter followers as well. There have been a number of articles gleaning lessons from the Hunger Games for their preferred audience. Apparently, everyone is getting protective about having the original idea and the others not giving credit to them. So let’s get that behind us: I had the idea for this post after reading David Berkowitz‘s article for a fundraising magazine. Thank you, David. For those of you from another planet, “The Hunger Games,” is an amazing high-concept story about a post-apocalyptic society that annually sacrifices twenty-three teenagers as a way of reminding everyone who is in power. 1) Define Your Goals: Set A Few Simple Tasks: It took Katniss (the heroine) a while to decide what she needed to do in order to win (kill the others). Her mentor gave her clear first steps – get away from the Cornucopia, find water and shelter – which in turn gave her confidence and momentum. 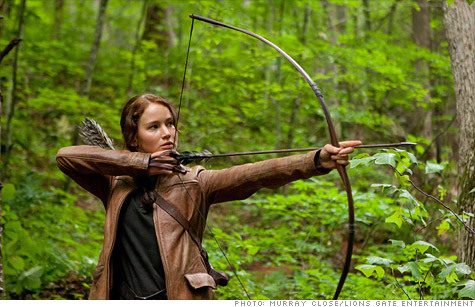 2) Know What You Are Writing: Heroine Katniss is the archer. Her cohort Peeta could pin Hulk Hogan. Figure out what your strengths are and play to them. 3) Know Your Target Audience And Find Them: Cinna, is a one of the most enjoyable characters in both book and movie. He is Katniss’ and Peeta’s stylist, responsible for ensuring that the crowd sit up and notice them. Together with Haymitch, their district’s adviser, they come up with a strategy to earn not only the support of the people, but also the all-important sponsors (media outlet or publishers for authors). What is important is that they stick to the strategy and maintain a consistent message. 4) Find Your Own Platform, And Get Comfortable With It: Katniss soon learned that the forest was her friend, using the stealth methods she had honed hunting. Likewise, she was both good and familiar with the bow as her weapon. As authors, we often join every social media and adopt every tactic, essentially not doing much in any category. Choose a platform – blog, Facebook, etc. and consistently work through it. If you decide to go via bookstores, be consistent and follow up with every bookstore before, during and after an event. 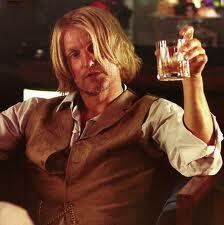 5) Be Generous – There Is Something To Karma: Katniss had endured a tough childhood and carried the obvious scars. She was stubborn, a rebel, and uncooperative with her advisor and most everyone else. But she cared about others and this eventually paid off. Three other tributes saved her life because of this. We are not competing with other authors. People aren’t choosing between their books and ours. Help others, share your experience, be generous with your time. People remember who stood by them and supported them. They will be there for you. 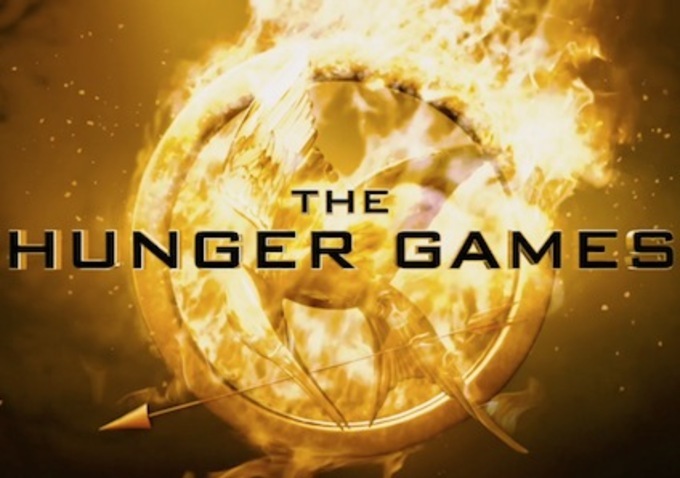 6) The Rules Change: The organizers freely change the rules in the Huger Games to suit their own goals. There is nothing fair or just, they simply want to achieve their own goals. Be ready to change tactics. If you are only selling books out the back of your car (still works for me! ), and not on the Internet, you haven’t been paying attention. 7) Choose and Trust a Mentor: Haymitch, the advisor to Katniss and Peeta, was the only other citizen from their district to survive and win the Hunger Games. As a rude, obnoxious recluse who is also an alcoholic, he doesn’t really inspire. But he made it and knows his stuff. Find a mentor and stick with them. 8) The Odds Are Never In Your Favor: so get over it. There is no guarantees for success. It is not quite as bad as the Hunger Games where there are no second or third chances. Read a lot. Learn from others’ mistakes, learn from yours, and okay: may the odds be ever in your favor. Alon Shalev is the author of The Accidental Activist and A Gardener’s Tale. He has written two fantasy novels and the first reached the Quarter Finals of the Amazon Breakthrough Novel Award as of March 2012. More on Alon Shalev at http://www.alonshalev.com/and on Twitter (@elfwriter). This entry was posted in Uncategorized and tagged Blog, Cinna, Cornucopia, David Berkowitz, Facebook, Haymitch, heroine, high concept, Hulk Hogan, Katniss, literature, Peeta, post-apocalyptic society, Target Audience, The Hunger Games, writing. This was excellent. A hard lesson for teens is that life isn’t fair. I’m still struggling with that one myself. Katniss is good to emulate because she takes decisive action instead of just accepting “what is”.